(CNN) -- July is on track to be the deadliest month yet for British troops supporting Operation Enduring Freedom. 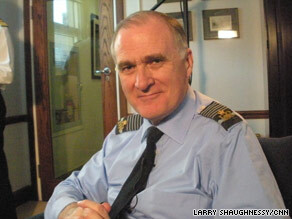 Air Chief Marshall Jock Stirrup says the sacrifices of British forces are worth it. So far, 15 British servicemen have died in Afghanistan this month, mostly in connection with Operation Panther's Claw, the British-led offensive in Helmand province that is mirroring a similar operation by U.S. Marines in the same area. Britain's deadliest month in Afghanistan so far has been September 2006, when 19 died -- 14 in a single incident, the crash of a Royal Air Force plane near Kandahar. The sudden spike in British deaths has triggered an outcry in the United Kingdom over the mission there and whether it will be successful. "Every casualty is sad, every casualty is deeply felt by us in the military. I mean, they are part of our military family. The losses, of course, are felt most by the real families of those involved and the bereavement is terrible," Air Chief Marshall Jock Stirrup, the chief of defense staff for Great Britain, told CNN in an exclusive interview. "These casualties are pretty one-sided. Sad though our losses are, they are very small compared to the losses that the enemy is taking," he said in an interview at the British Embassy. Stirrup, whose position is equivalent to Adm. Michael Mullen, the chairman of the U.S. Joint Chiefs of Staff, said the government wants people to know that the sacrifices are worth it. "This is a military operation and on military operations, you engage in fighting. That's why we have militaries and, sadly, you take casualties. The real issue is, first of all, are we getting something of sufficient strategic benefit to justify the price that our people are paying?" he said. "Secondly, are we doing everything we can to ensure that we achieve that strategic benefit with the minimum possible number of casualties? And those, I think, are the key arguments in which we have to engage." The British military has been criticized for using vehicles that cannot withstand the blast of a roadside bomb. Stirrup told CNN that the British troops are conducting missions that forces them out of protective vehicles. "You can't engage with the population of Helmand from inside several inches of steel. You have actually to get out on the ground," Stirrup said. "Our people have to get out there, they have to engage with the population and close with the enemy and that, alas, exposes them to risks and sometimes those risks materialize. Have we got the right equipment? Well, we have excellent equipment on the ground and our troops will tell you that." But Stirrup admits that while the United Kingdom is constantly updating the equipment sent to Afghanistan, the results are delayed. "It takes time for industry to produce the new equipment. It's ordered, it's being delivered, but it's delivered over time, so it's always that gap, if you like, between identifying that change requirement and being able to deliver it on the ground," Stirrup said. He said there is one British serviceman who won't have to worry about the dangers of Afghanistan: Prince William. "Prince William is second in line to the throne. That produces certain difficulties to his employment in a combat environment," he said. "I'm not going to say one way or the other what we will do for the future. What I will say is that he is training at the moment to be a search-and-rescue helicopter pilot, which is a tremendously demanding occupation. It's professionally demanding. It also is at times pretty hazardous, and I think he is going to find that challenge enough and reward enough in the short term." The prince's younger brother, Prince Harry, served in Afghanistan for about 10 weeks until news of his deployment was leaked by a U.S. Web site. He was then pulled out to keep his unit from being targeted specifically aimed at him.